Please complete a Booking Form and pay below via Paypal to secure your place. Or email me if you prefer to complete a paper form to send with a cheque. I look forward to welcoming you with Joining Instructions by return email! An introduction to painting with watercolours for beginners. Paint your own masterpiece in the gorgeous Combe Grove Manor Hotel near Bath following step-by-step instructions. When: Friday 25 January 2019 &/or Saturday 26 January 2019 (10.30 – 16.00) Where: Combe Grove Manor Hotel, Brassknocker Hill, Bath BA2 7HU Cost: £95 one day/ £80 per day for two or more days: including hotel lunch, all materials – watercolour board, tube paints, brush loan. Coffee & tea. Imaginary Landscapes: Wednesday 6 &/or Thursday 7 March; Saturday 9 March 10.30-3: or Watercolour Portraits: Friday 8 March 10.30-3: Both courses include all materials and a delicious deli lunch. Landscapes: What makes a painting subject and where can we find inspiration? This workshop will discuss these conundrums, as well as composition ideas. We’ll plan our paintings and then follow demonstrations of gravity painting techniques to make the most of the paint moving in water and create our own imaginary landscape. Book one day or extend your learning over two. 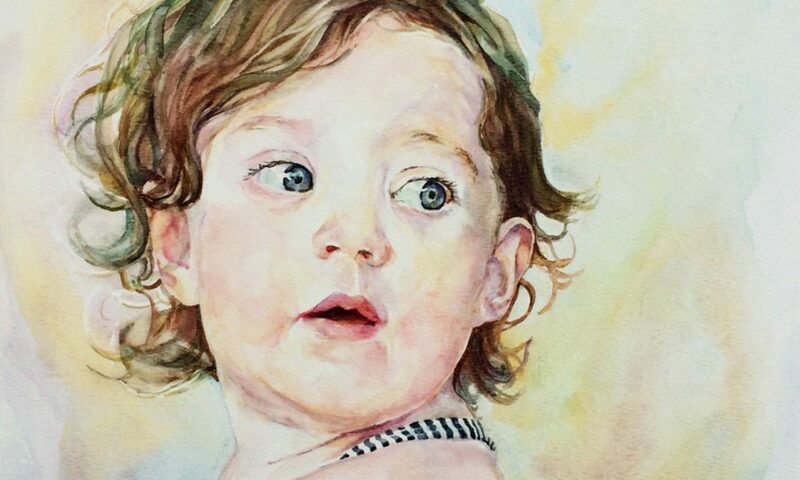 Portraits: This day will suit those with some experience of painting with watercolours. Our session is based around a head and shoulders photographic portrait. Learn how to control wet-in-wet running paint to create deep tone and explain the fall of light across the features of a human face.Understand composition, focal point(s), colour mixing, building up tone, etc. When: Thursday 4 April 10-4: This April we shall take to Bath’s stunning canal and join the privately hired Sir John Knill Waterbus at Widcombe’s Top lock. We will proceed on a leisurely journey up the canal to Bathampton, gathering images along the way, to return back by water and the tow path for an afternoon’s painting at the Natural Theatre Company’s Studio space. A half day plein air watercolour workshop on Sunday 26 and/or Monday 27 May 1-4: These afternoon short taster workshops are suitable for beginners and all materials are provided. Enjoy painting the stunning gardens from life at my venue during the Wylye Valley Art Trail - including 17th century buildings, a cute brick privy (! ), colourful borders, a meadow and rolling lawns.